Lowline boosters James Ramsey and Dan Barasch spoke with the Wall Street Journal this week, shedding light on a few economic details surrounding what could become New York City's first subterranean park, built in an abandoned trolley terminal owned by the MTA underneath Delancey Street in the Lower East Side. Project co-founders Ramsey, an architect and principal at RAAD Studio, and Barasch have most recently been working on creating a full-scale mock-up of their fiber-optic skylight that will bring natural daylight to the cavernous underground space after raising $155,000 on Kickstarter. The team is now promoting the park armed with a new economic impact summary, claiming that it will add value to the adjacent Seward Park Urban Renewal Area (SPURA). Specifically, Ramsey and Barasch argue that building the park would boost SPURA land values by $10 to $20 million and generate up to $10 million in taxes over the next 30 years. The Lowline also revealed its estimated budget, clocking in somewhere between $44 and $72 million to be paid for by a combination of fundraising, donations, and tax credits. 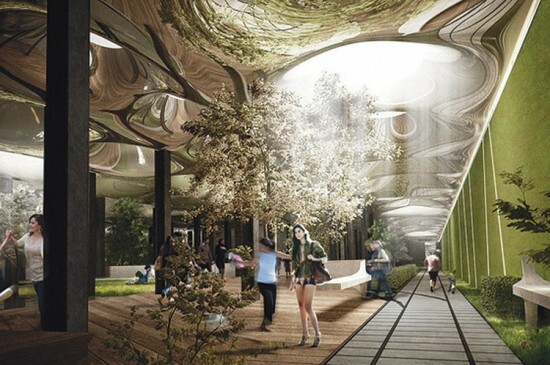 If all goes according to plan, the Lowline could be financially self-sufficient, with a $2 to $4 million operating budget paid for by special events and commercial space. 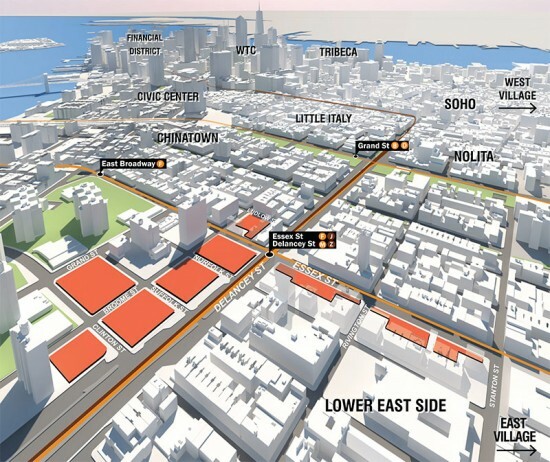 Uncertainty still looms over project, however, as the MTA hasn't agreed that the space will be allowed to be converted into a park. 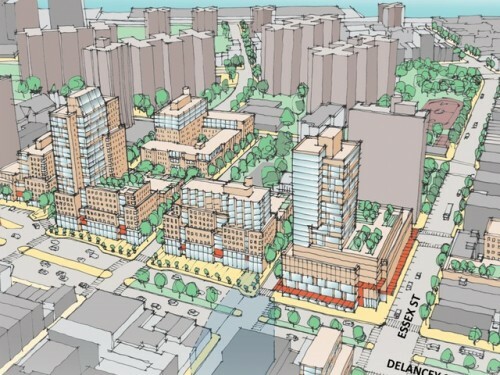 The planned 1.65 million square foot redevelopment of two blocks of the Lower East Side was approved by the Department of City Planning with no requests for changes, according to DNAinfo. 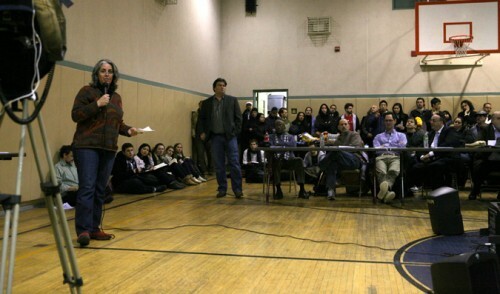 The Seward Park Urban Renewal Area (SPURA) is a Moses-era slum clearance project that has stood vacant since the 1960s. 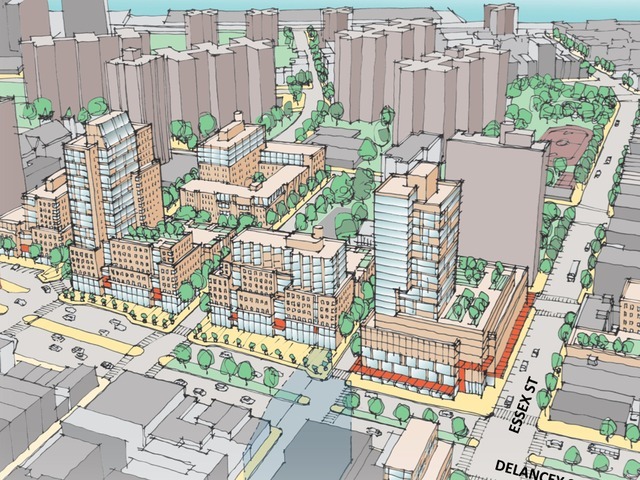 The redevelopment would include 900 apartments, 500 of which would be designated as permanently affordable housing, as well as retail, community, and green spaces. The plan now needs approval from City Council to proceed.